Pi as an "enlightened Gaia": Creation vs. Destruction. Pi as a new host of Earth - the "enlightened Gaia"
Gaia is a planetary host of Earth, a conscious being that has lived inside our planet for the past 4.6 billion years. All the human rituals of connecting with the planet had been about connecting with Gaia. Compassion, which is about truly opening the heart to all of life. 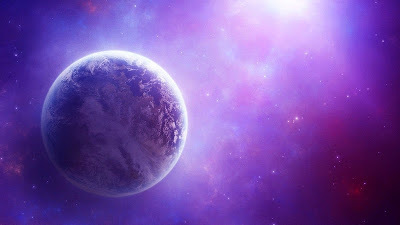 Pi is also a planetary host of Earth, a conscious being with the Purple color energy, different from Gaia, the new "soul" of the Earth since December 2012. We can also look at the energy of Pi as "an enlightened Gaia", it is the next step in the evolution of our planet. Pleasure is about the fulfillment available in any moment,rather than accomplishment-based satisfaction. The main component of this transformation of Gaia to Pi is CREATIVITY, not destruction. Notice how most information on the subject of 2012 was focused around "disaster"? This is the energy of fear (catastrophobia), not creativity, that permeated human consciousness for thousands of years. 2- the desire for false significance by exaggerating or twisting available information in sensational manner. What must we do to awaken/ascend/become enlightened? We must be centered - it is as simple as that. We have to find our center. That makes each one of us a unique Self. The cycle of precession has come to an end, as Pi arrived into Earth. Pi is a different energy than Gaia, but in a way she is a continuation - she is a next step of our evolution. We can see this new Pi reality clearly when our eyes "become single" - as we move from the duality vision to the unity vision. In the energy field this translates into moving away from the materialistic perception based on physical vision (two eyes) into the unified perception based on the finer faster vibrations, perceived through the sixth chakra (one eye). It is not possible to have an enlightenment while the consciousness remains the same. This is a Universal Law - change in perceptional range is required in order to shift that perception! In our solar system Earth represents compassion/love, amplifying this attribute for humanity. Earth’s vibration is connected to two chakras: the root it enters through and the heart it opens. Her energy feels warm, and flows into our field through the root chakra. If in the middle of an argument you focus on your root chakra and welcome Earth’s energy in, you will feel a wave of compassion moving through your heart, which might help to resolve that argument. We cannot have too much of the Earth’s energy because we are of the earth. But we do have to balance it with higher vibrations in order not to be too matter-oriented (having an "only what I can touch is real" mentality, that is incompatible with Pi!). When we are deficient in Earth’s energy, we become ungrounded, unable to be present in each moment of our life, daydreaming all the time, or are negatively selfish, unable to perceive the point of view of others, cruel and cold. it is a relief to hear that. I found myself sometimes resisting Pi, since my understanding of it was "Gaia is a mother, and I have an unconscious trust for a Mother, when Pi is not so much about support and rather about movement". And I can only have that much movement without support. Maybe it is because I am not that crazy about magenta colors, preferring reds. It is difficult to combine reds with magenta/purples. Any advise to slow people like me? when I go to my center I am flooded with deep dark red. If I want to make friends with Pi, do I have to like Magenta? thank you for your blog, it is very helpful!! !